How Social Media Can Help Your Career - and Help You Earn More! How Can Social Media Help My Career? These days, most people have an online presence and, when used correctly, social media can help you professionally in various ways. 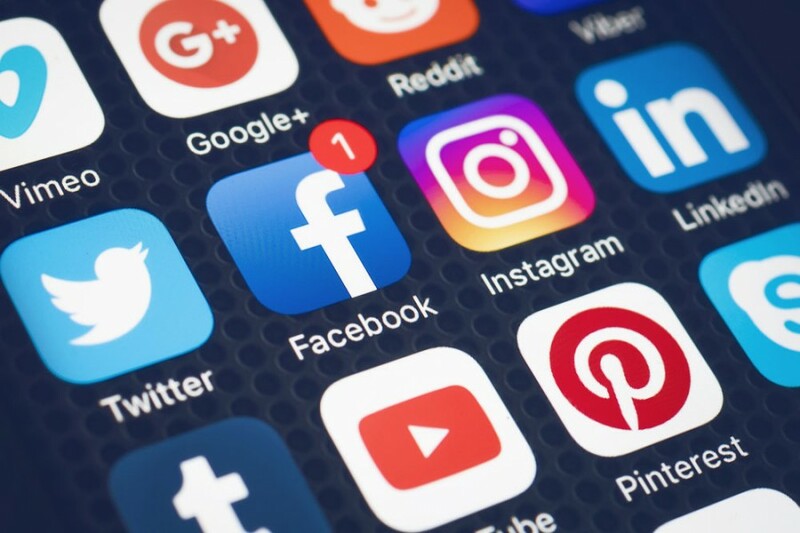 Keep reading as we show you how to benefit from social media and avoid tainting your career by using apps in the wrong way. Social media shouldn’t be used in any way that portrays you in a negative light. After all, you are projecting yourself out into the world and even digital impressions count. Hiring companies look at your social media and will form judgements about you based on what they find. Publicly posting pictures of while intoxicated or breaking the law is never a good idea. Just by one look at your profile, you should come across as responsible and apt to take on a challenging work environment with a clear mind. Below, we have listed the best ways you can achieve this. Personal branding is gaining momentum recently and is one of the ways to stand out amongst your competition. Through social media networks like Facebook and Twitter, you can establish yourself as an expert in a field, or demonstrate digital proficiency. The key is to be consistent with your activity and image. Many people these days have a huge following on their social media networks, some in the thousands. This increases their branding, expertise, and work prospects. Being passionate about a topic and discussing it in a compelling and interesting manner can help you generate a following. Even if you are not an expert, you are still contributing to meaningful discussions and spreading knowledge. We have all heard of the importance of networking when it comes to furthering your career. Social media is a great tool for doing this as it has the potential to instantly connect you with hundreds, even thousands, of people. At a touch of a button, you can network with professionals from all over the world. Professional platforms like LinkedIn and Opportunity are great for networking. You can also post your resume on them, further increasing your career prospects. Every company has its own unique work culture and by checking out their social media, you can discover a lot about it. Most companies these days have a social media profile like LinkedIn and Facebook. It’s highly recommended that you actively invest some time researching companies you want to work for. By doing so, you can see if they are a good fit and you will be aware of any job vacancies. Many companies also list recent job vacancies on their social media. Aside from adding your colleagues to your already existing Facebook account, you could even make a Facebook group or Twitter list. This is a great way of engaging with them personally while maintaining professional standards. If you run a blog, you can promote it there and your colleagues can start following you, even sharing your posts. Through having a great social media profile, potential clients and employers will come to you. You will stand out from the crowd, increasing your chances of companies keeping you in mind for future opportunities. To achieve this, you must be consistent, post regularly, network, and build professional relationships. Remember, your overall online profile leaves a digital footprint and a lasting impression on clients and employers. Can Social Media Taint Your Career? By now, we hope you realise the benefits that social media can add to your career. Have fun but be aware of your image. For great career advice and to get yourself on track for the future, contact the career experts from NotedCareers online or call 1800 326 422.
https://notedcareers.com.au/wp-content/uploads/How-social-media-can-help-your-career-e1507083584517.jpg 600 900 ReachLocal https://notedcareers.com.au/wp-content/uploads/Logo-new.png ReachLocal2017-10-03 13:31:222017-10-04 13:20:10How Can Social Media Help My Career?